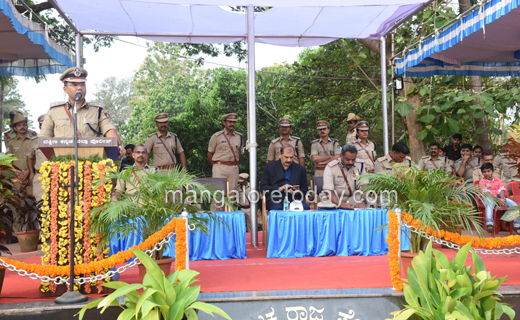 Mangaluru, Apr 03, 2019: Jointly observed by the Mangaluru Police Commissionerate, district police and the 7th KSRP battalion. 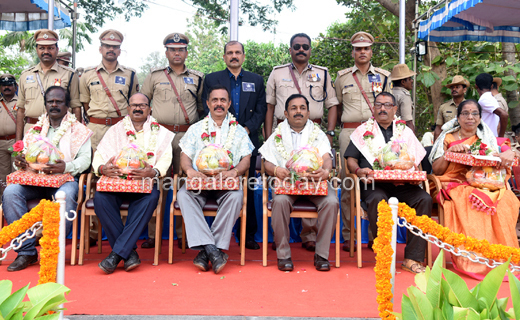 Felicitation to retired police personnel and an impressive parade marked the Police Flag Day and Welfare Day at police parade grounds on April 2, Tuesday. 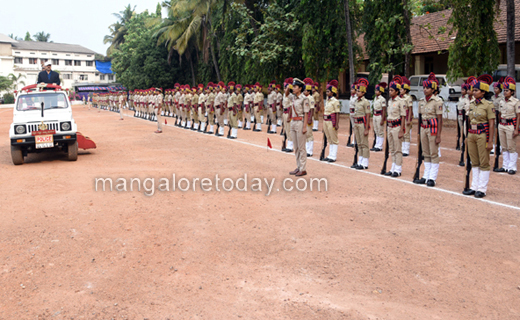 A march past by police contingents, including Karnataka state reserve police, district armed reserve police, Mangaluru city civil police, district civil police, women police, and traffic police accompanied by police band. 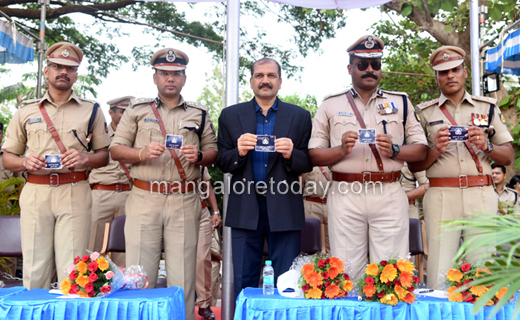 The Police Flag Day sticker was released by Retired Superintendent of Police (Intelligence) Uday Nayak on the occasion. The stickers were distributed among the participants. The money raised will be used for the police welfare fund. 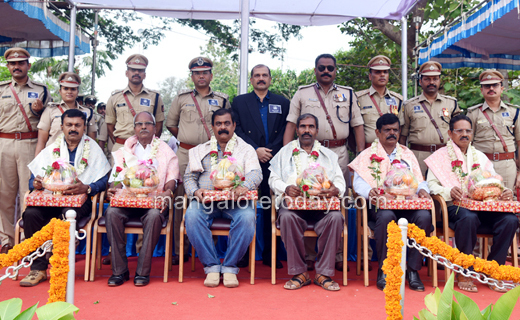 A total of 64 retired police personnel were felicitated. He urged the police personnel to treat complainants with respect and listen to their problems. The police should become people-friendly and try to curb the drug menace, he advised. He appealed to the police officers not to get addicted to bad habits and involve themselves in service for the welfare of the society. He asked the police personnel to give a patient hearing to retired personnel who come to the police station. Nayak called upon personnel to work efficiently during the elections. IGP (Western range) Arun Chakravathy warned those who attempt to fool the government and the system through their illegal activities. The police have been tackling criminals who have taken law into their hands. Loyalty and discipline that police personnel have inculcated in their life during service should be continued throughout their life even after retirement, he added. 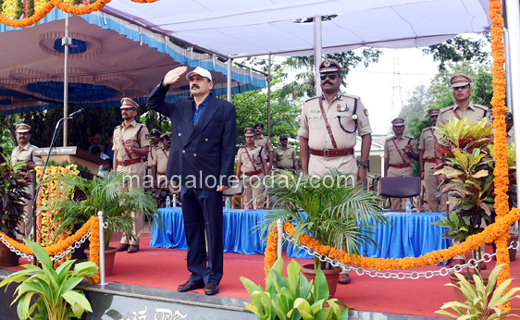 Mangaluru Commissioner of Police Sandeep Patil, Commandant (KSRP) Janardhana R, and SP Lakshmi Prasad B M were present.